Clustered together, these contrasting orbs spin and slide freely in constant motion. Fine motor skills and sensory exploration. 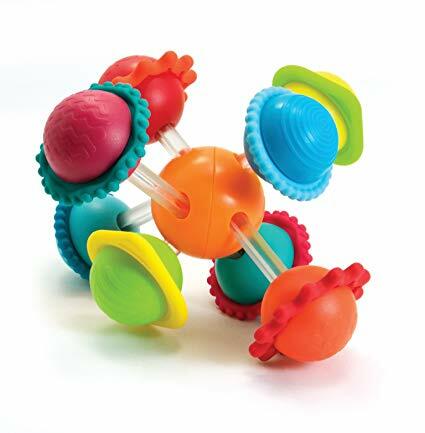 Discover embossed geometric patterns, explore twisting silicone rings, play with balance and rotation and learn through cause and effect.